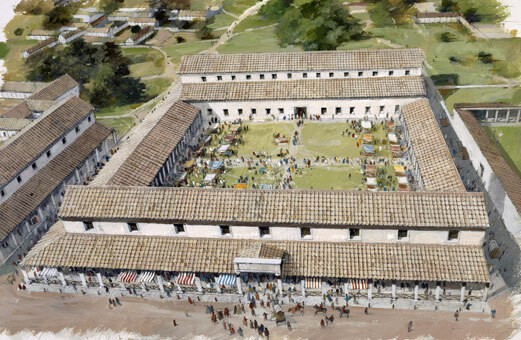 Discover urban-living 2,000 years ago at Viriconium (Wroxeter) – once the fourth largest city in Roman Britain. 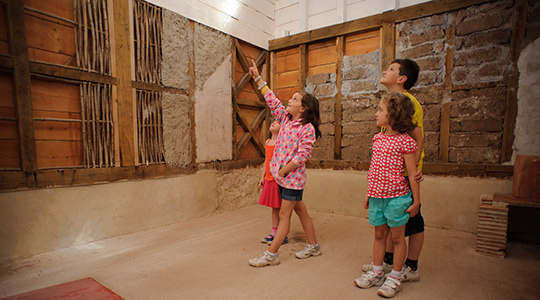 Wander the remains of the bathhouse and explore a reconstructed town house from a city which was almost as large as Pompeii. Discover the daily lives of the people who lived here with the audio tour and through their objects – found on display in the museum. Standing proud over Wroxeter’s ruins is the iconic Old Work. 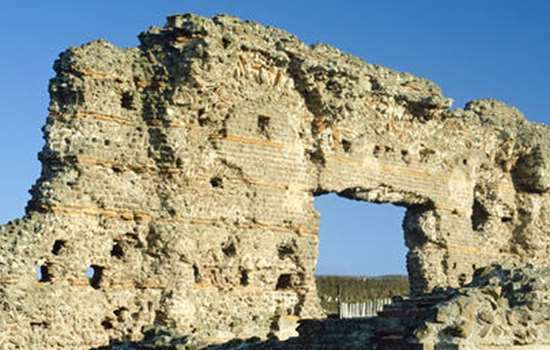 This surviving 7 metre high basilica wall is the largest piece of free-standing Roman wall in the country. Look up at the wall to see double bands of orange-red tiles spearated by neatly laid bands of stonework on one side. On the other, the stonework is more plain and you can see regular rows of holes which would have been used to house scaffold during the construction. The museum features a selection of fascinating Roman artefacts telling the story of how Wroxeter’s 5,000 inhabitants lived. Both the audio tour and the museum give a sense of daily life at the site, made up mainly of foot soldiers, who were all Roman citizens and 500 or so cavalrymen usually recruited from other tribes.